OBJECTIVE: To report on a case of a pathological burst fracture in the cervical spine where typical core red flag tests failed to identify a significant lesion, and to remind chiropractors to be vigilant in the recognition of subtle signs and symptoms of disease processes. CLINICAL FEATURES: A 61-year-old man presented to a chiropractic clinic with neck pain that began earlier that morning. After a physical exam that was relatively unremarkable, imaging identified a burst fracture in the cervical spine. INTERVENTION & OUTCOMES: The patient was sent by ambulance to the hospital where he was diagnosed with multiple myeloma. No medical intervention was performed on the fracture. SUMMARY: The patient's initial physical examination was largely unremarkable, with an absence of clinical red flags. The screening tools were non-diagnostic. Pain with traction and the sudden onset of symptoms prompted further investigation with plain film imaging of the cervical spine. This identified a pathological burst fracture in the C4 vertebrae. Specific historical considerations should include the patient’s history, the report of the present complaint, and additional work-up such as imaging and blood work. When the physical exam does not confirm the suspected diagnosis, further investigation is required. For chiropractors, radiological plain film imaging is used to assess bone health and to screen for underlying pathology. If there is any indication for further work-up, such as blood work or advanced imaging, inter-professional collaboration with other health care professionals is crucial. The objective of this case report is two-fold. The first is to highlight the need to be vigilant in recognizing and responding to subtle signs and symptoms of disease processes. The second is to remind clinicians to rely on all of their assessment tools, including radiographic imaging, if orthopaedic tests are of limited value. A 61-year-old retired male presented to a chiropractic clinic in the mid-morning, complaining of dull, achy cervicothoracic discomfort in the left upper scapular area. He came to the clinic wearing a soft cervical collar. The pain began early that morning when the patient sat up in bed from a supine position, turned to step out and heard what he described as a “crunch-like” sound. There was an immediate reaction including sweating and dizziness, lasting five minutes. Slight pain relief was achieved by taking two Tylenol 3s and pressing his occiput against the edge of the bed. The patient described an inability to find a comfortable position for his neck, and rated his pain at 7/10 on the VAS that was constant. Coughing aggravated the pain in the mid-cervical spine. Slight weakness was reported when picking up a glass of water with his left hand; however, this was not consistent throughout the morning. Otherwise, there were no neurological symptoms described in the upper limb, lower limb, or cranium. His past health history was unremarkable. The patient described having a cold for approximately three weeks in advance of the date of presentation, but felt well on that day. Approximately fifteen years previously, he had a mole removed from his nose that was determined to be pre-cancerous. The patient had an active lifestyle including a healthy diet, regular exercise, no smoking, and social alcohol consumption. He was pre-diabetic and over-weight. This was his first chiropractic visit. 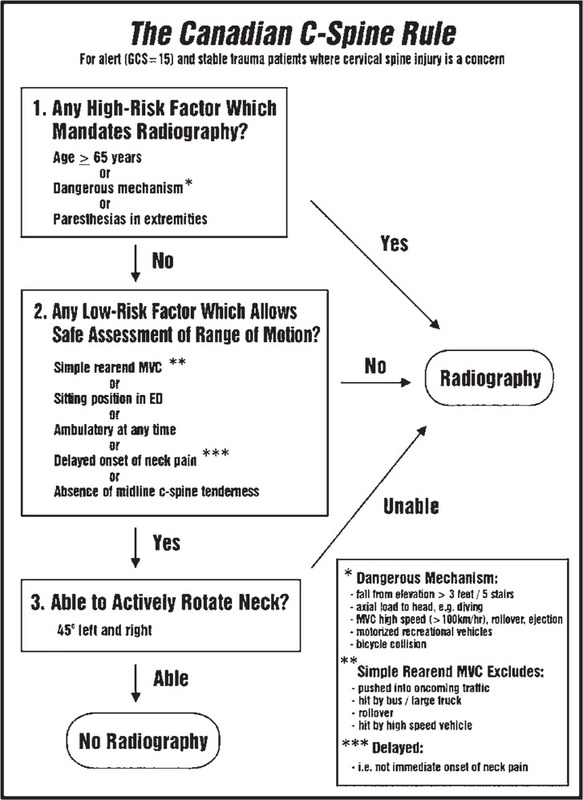 A post-history differential list included compression fracture, grade two mechanical neck pain, and strain of the cervicothoracic musculature. Prior to the physical examination, the patient removed the collar himself and went through active ranges of motion that was painless with only a mild limitation at end range globally. A full neurological examination of the upper and lower limb was intact, and bilaterally symmetrical. Plantar reflexes were down going, and Hoffman’s test was negative. Valsalva and spinal percussion tests were negative. There was mild muscle spasm in the trapezius and cervical paraspinals bilaterally. Axial compression of 2–3 lbs of pressure did not contribute to or alleviate his symptoms. Cervical traction was painful. The examination was tiring for the patient, however, no motor weakness was found. The physical exam was unable to rule out compression fracture. The patient replaced his collar and was sent for cervical spine films to a chiropractic radiologist. While the anterior-posterior open mouth image (Figure 1) was read as normal except for general osteopenia, a burst fracture of C4 vertebrae was visualized on the remaining images (Figures 2 & 3). The chiropractic radiologist conferred with the referring chiropractor, and emergency measures were taken including re-collaring the patient and having him transferred by ambulance to the hospital. The chiropractic radiologist then conferred with the radiologist at the hospital and was able to provide collaborated evaluation. Following advanced imaging it was determined the patient had multiple myeloma in his cervical spine, thoracic spine and ribs. At the hospital he was put into a hard collar and developed hard radicular signs and pneumonia by nightfall. Due to the complexity of the lesion and the pneumonia, the burst vertebra was unable to be managed operatively at that time. This patient presented with acute neck pain without radiation after waking up that morning. The physical exam was surprisingly non-conducive, given the diagnosis. The significant physical exam findings were increased pain with traction despite painless range of motion, negative spinous percussion test, and a normal neurological exam. It is pertinent to recognize there is limited strength in many of the tests that are presented, including differentiating a fracture of the cervical spine. Spinal percussion has no evidence for use in the cervical spine. In the lumbar spine, there are mixed reviews as to whether spinal percussion has diagnostic significance. In one study by Langdon in 2010, spinal percussion was found to be diagnostic for upper lumbar osteoporotic compression fractures with a sensitivity of 87.5% and a specificity of 90%. Another study, however, suggested spinal percussion may not be diagnostic as previously thought. Downie et al. in 2013 found it is more likely that a fracture will be present if the patient is older than 65 years, has a history of prolonged corticosteroid use, had significant trauma or visible contusions. Additional tests used in this case were valsalva, axial distraction, and axial compression. These tests are used primarily to differentiate radiculopathy from a central cord pressure (whether from space occupying lesion or disc herniation). The valsalva test has been found to have 22% sensitivity and 95% specificity. Axial distraction has 44% sensitivity, and 90% specificity , and axial compression has a sensitivity of 25–50% and a specificity of 40–64%. Overall, the tests applied in this case tend to have low sensitivity, and moderate to high specificity when testing for cord compression to the cervical spine. A burst fracture is a specific form of compression fracture that requires considerable forces of axial compression and flexion in healthy bone. Due to the amount of force required, a comminution of the vertebral body occurs with fragments migrating centrifugally. Posteriorly displaced fragments of bone may create extrinsic pressure on the ventral surface of the spinal cord, causing significant neuropathy. Up to 50% of burst fractures can cause neurological injury depending on the diameter of the fracture, and how much it occludes the spinal canal , however, this patient had a normal neurological exam. Multiple myeloma (MM) is the most common primary malignant spinal tumour in adults. It is twice as common in males and typically onsets in the sixth decade. MM makes up 15–20% of all haematological cancers with an average 5-year survival rate of 15–20%. The classic presentation of a patient with MM is severe bone pain that is aggravated by activity and relieved by rest, though according to one study, this is only seen in 67%. Other symptoms, though less common, include dyspnea, fatigue, asthenia, and weight loss. This patient’s presentation did not indicate how advanced the disease was. 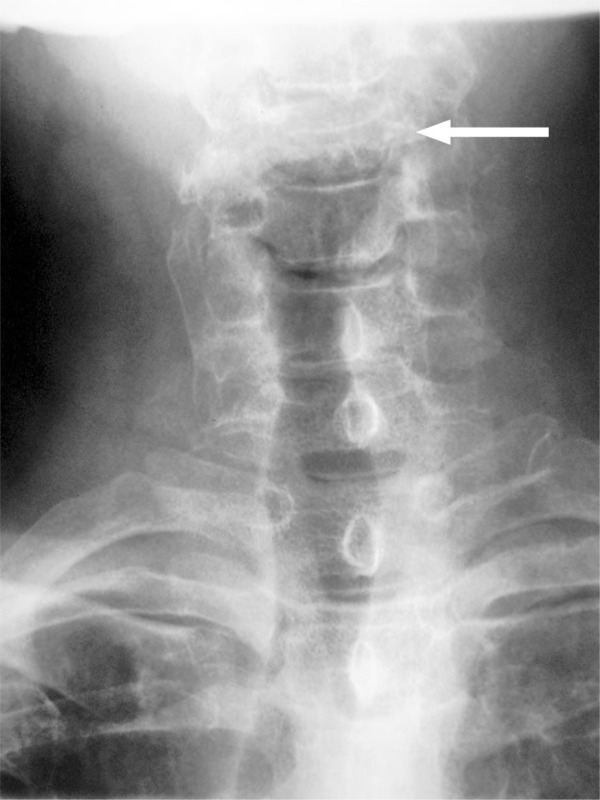 Two additional case reports in the last decade describe the presence of cervical spine pathological burst fracture in a medical setting by specialists. [20, 21] However, the authors of this paper believe the presented case to be the first description of an initial presentation of a pathological burst fracture to a primary-contact conservative care facility. This should affect the decision making of all manual therapy practitioners when considering differentials of rare but serious pathology as they may not possess traditional history red flags, nor possible signs on examination. 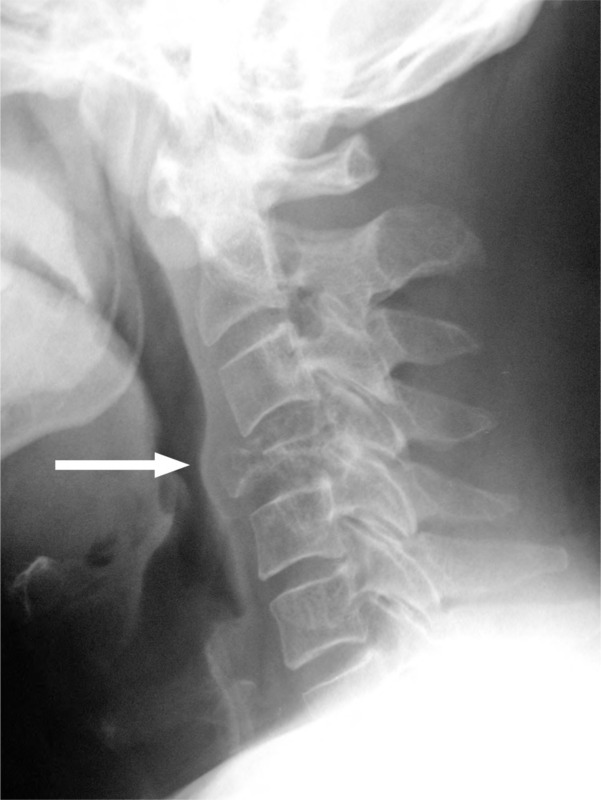 A 61-year-old male presented to a chiropractic clinic for management of acute neck pain. The history revealed a ‘crunch’ sound when getting out of bed that morning. There were no red flags in the history. The physical exam identified traction was aggravating, but was otherwise non-conducive. This case should serve as a reminder that in some circumstances, orthopaedic tests may be of limited clinical value. Practitioners need to be diligent in their clinical assessment of patients to be aware of subtle signs of disease processes. It also serves as a reminder to clinicians that these rare cases do present to our offices and radiographic intervention is still the diagnostic tool of choice to confirm a pathological fracture diagnosis. Informed consent was obtained from the patient for the publication of this manuscript. There was no financial support provided for this document. Sizer PS, Brismée J, Cook C.
Comparing self-reported and physician-reported medical history. Cervical spinal cord compression and the Hoffman sign. Accuracy of spinal orthopaedic tests: a systematic review. 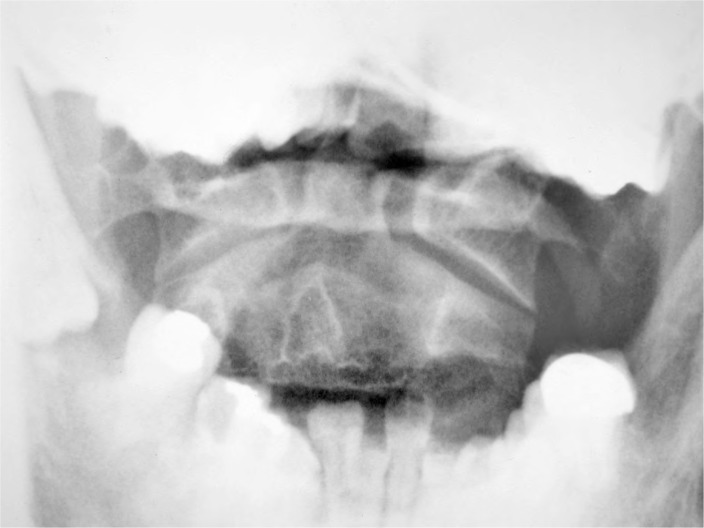 Vertebral compression fractures–new clinical signs to aid diagnosis. Red flags to screen for malignancy and fracture in patients with low back pain: systematic review. Viikari-Juntura E, Porras M, Laasonen EM. Validity of clinical tests in the diagnosis of root compression in cervical disc disease. Essentials of skeletal radiology. 3rd ed. Implementation of the Canadian C-spine rule: prospective 12 centre cluster randomised trial. Southerst D, Dufton J, Stern P.
Multiple Myeloma presenting as sacroiliac joint pain: a case report. Multiple myeloma: review of 869 cases. Multiple myeloma: causes and consequences of delay in diagnosis. 18. Kyle RA, Rajkumar SV. Criteria for diagnosis, staging, risk stratification and response assessment of multiple myeloma. Rajkumar SV, Gahrton G, Bergsagel PL. Approach to the treatment of multiple myeloma: a clash of philosophies. Cervical spine metastasis of multiple myeloma: a case report with 16 years of follow-up. Complete C4 vertebral body destruction: a dramatic finding in a patient with a new diagnosis of myeloma.